Here we are in mid-March and I am done with my Typography Challenge project! 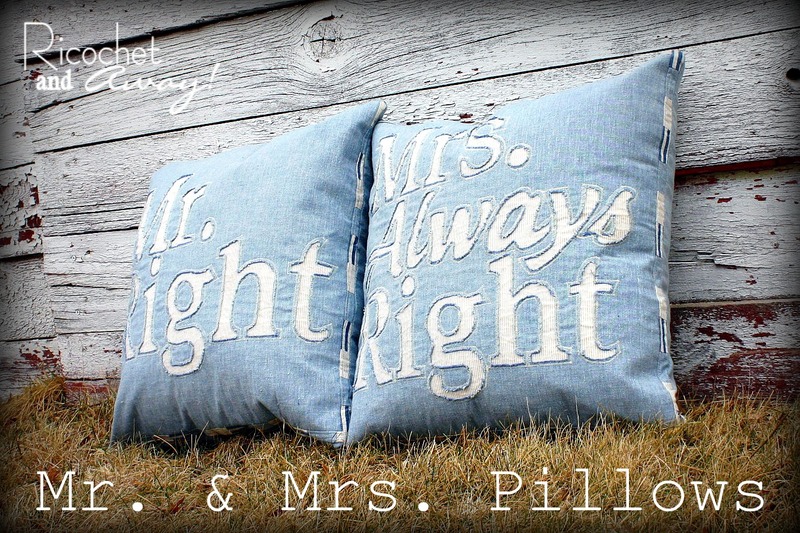 These pillows are going to be a wedding present for some dear friends. I think the text is hilarious to me and oh so true! I used reverse applique to make the letters. I made a little reverse applique tutorial HERE. I bordered the edges with thin strip of patchwork. The back sides are quilted patchwork. 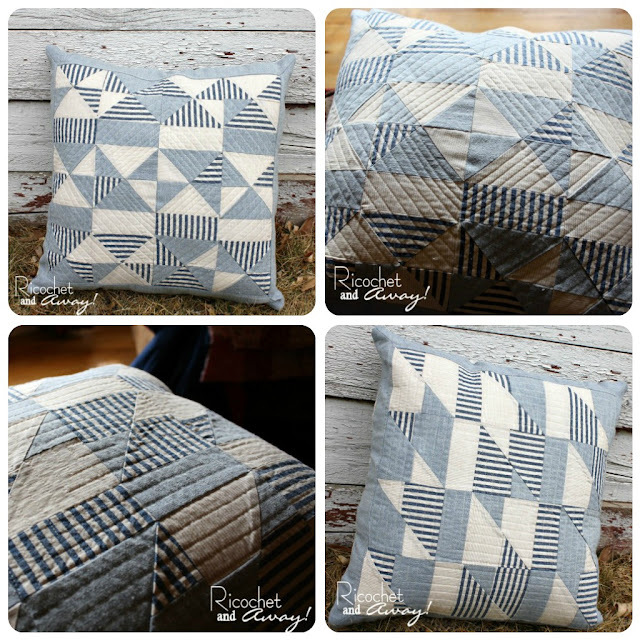 I blogged about the patchwork HERE. The Typography Challenge ends on March 31st. If you would like to review the challenge guidelines and submit a project of your own check out the challenge homepage. 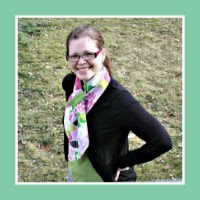 We have an inspirational pinterest board that all the participants have been working on as well. I would love to hear you comments regarding these pillows and/or the Typography Challenge. We have a super creative group of participants this time and an intriguing challenge so I'm really excited to see what everyone will come up with. Rikka, you Rock these pillows! 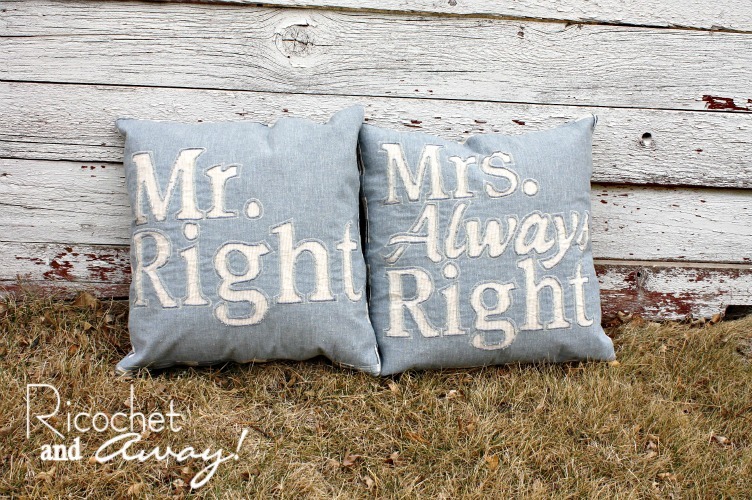 funny because one I saw the pin on the board I told my husband... i should pillows for us with these writings on!!! love them! and reverse appliqué??? girl... you really wanted to work hard! 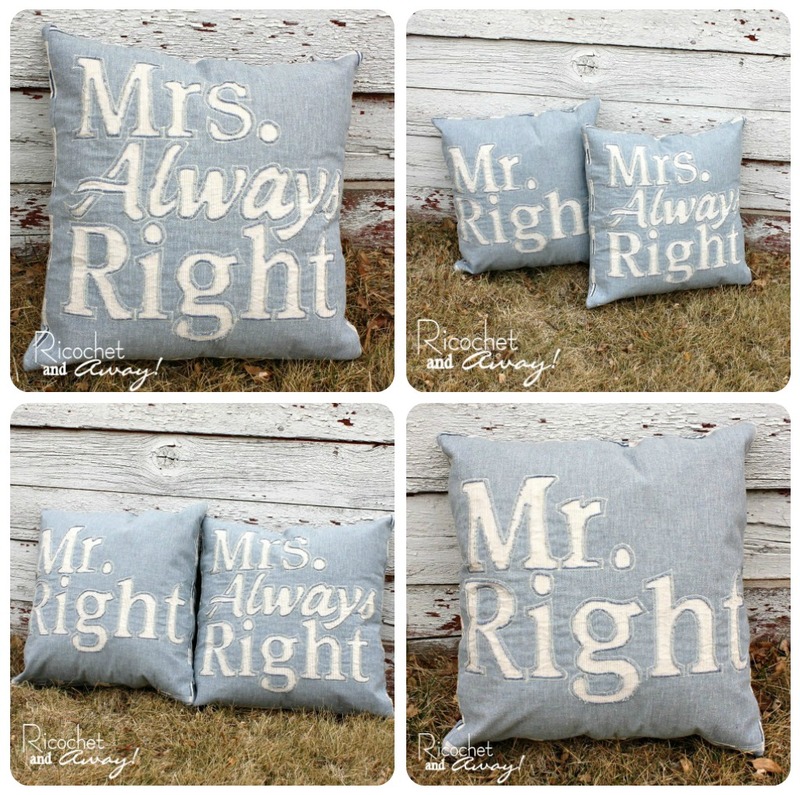 Fun pillows! Love the text. 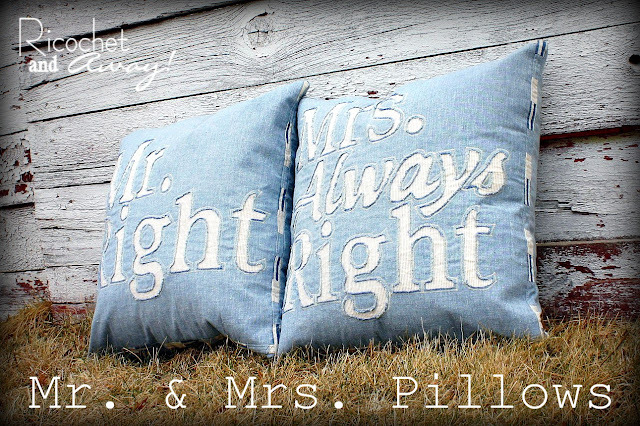 Your pillows are brilliant, I love the text, the patchwork back and quilting, the reverse applique. In fact I love everything about them. Good luck with the challenge. Brilliant!!! They are just fabulous, Rikka!!! 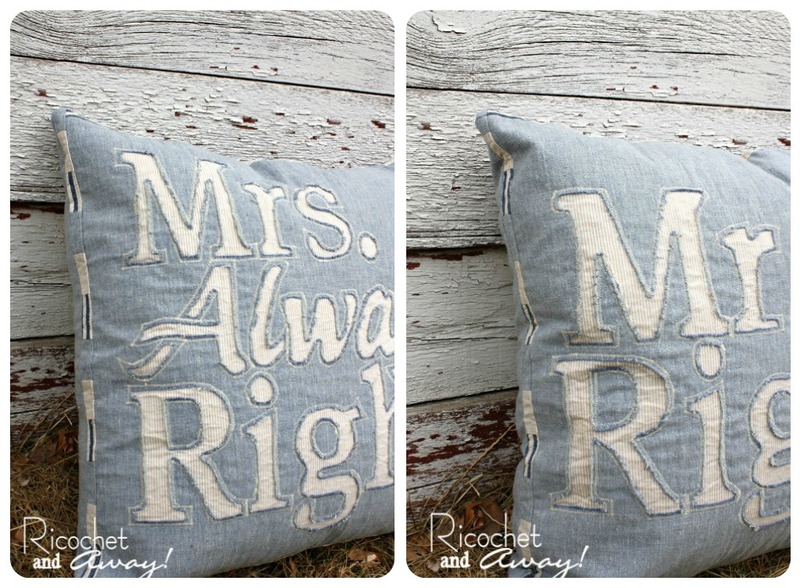 Love the blue and white, the fonts and your reverse applique is so neat!!! The patchwork and quilting looks great, too. Top marks!!! Awww! Lots of lovely comments! Thanks so much! These look great! 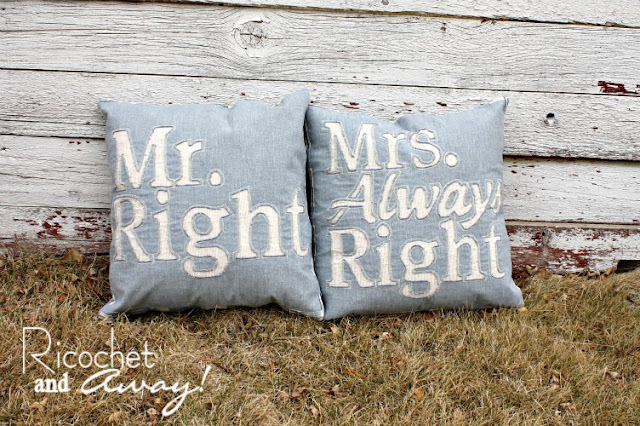 A perfect wedding gift. I saw these a few days ago and wanted to say - they are gorgeous! I love them. I love the pale blue and how it works so well with the white. The letters (characters) are expertly made. The patchwork on the back is lovely. And the idea is really cute! Beautiful work! These look store bought, seriously! I love all the texture the reverse applique gives. Remember the Retro Pillow Challenge?